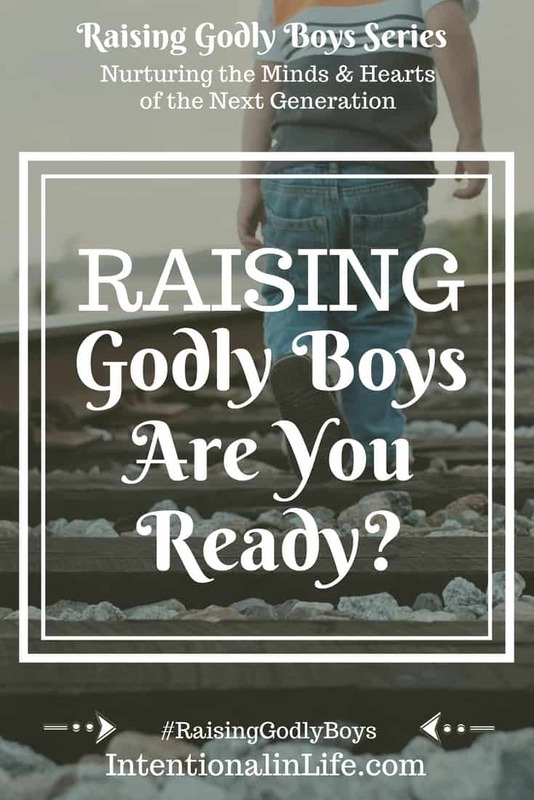 Home » Raising Godly Boys Series » Raising Godly Boys: Are You Ready? 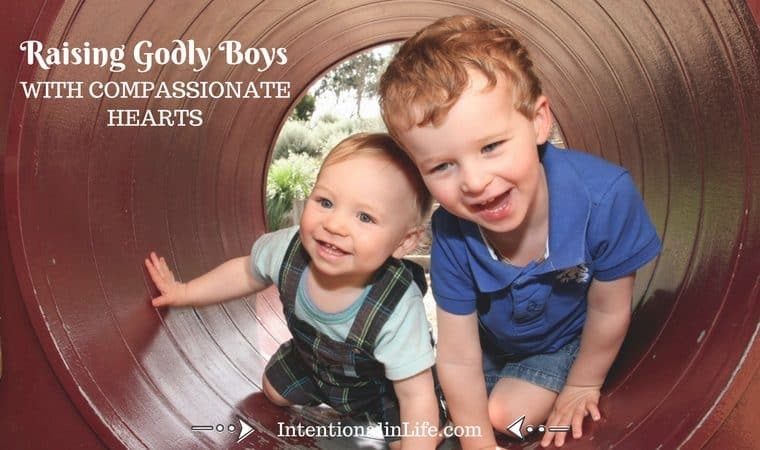 Are you ready to raise Godly boys? 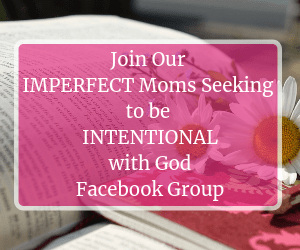 Have you ever felt being a mother is like experiencing the heart of God? 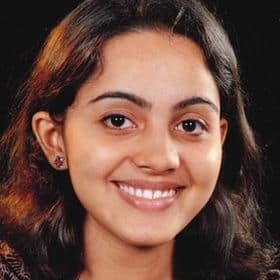 I have felt like that so many times, from the moment I saw my little one’s innocent face. The one who stole my heart the day he was born, and I am still behind him. And can you imagine the heart of God this way? Always looking towards us, as the apple of His eye. And He neither slumber nor sleep as He is watching over you. And can you imagine His happiness when you decided to surrender His life for Him? He paid the price to set you free and to come towards Him. And my question to you parents is – Are you ready to pay the price to bring up your children for the glory of God alone? 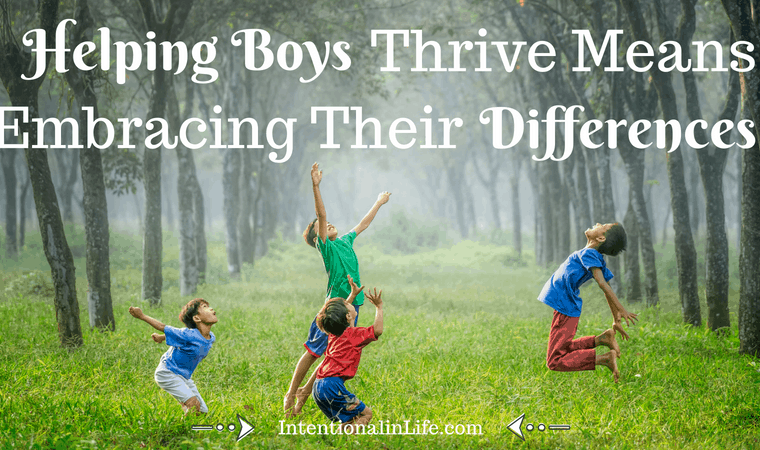 Are you Ready to Raise Godly boys? What does the Bible teach us? What is the promise of the Lord concerning the children of His servants? The word of God says in Isaiah 54, the children of His servants shall be taught of the Lord Himself and great shall be their peace. So why should we worry as parents if we are ready to be His servants and to walk according to His will, obeying the commandments of the Lord? Scripture says in 1 Corinthians 3:7, it is only God who makes things grow, not the one who planted nor he who waters. It is God who makes things grow for His eternal purpose. So, if we put our trust in God alone, we will not fail as parents. But there is a price you have to pay as a parent to serve the divine purpose. And if you are a faithful servant of the Lord, be assured that the Lord is there for your sons and daughters. That is the promise of God to His servants. Are you ready to show Christ through your life? Jesus came to serve but not to be served. Let us stop serving our selfish desires but yield to help others who are in need. We need the grace of God to step out of our comfort zone and to reach others. As mothers, we have tremendous opportunities to exercise hospitality in our homes. And at the same time, we might also have several reasons to avoid those opportunities. Our home can be a place of comfort for so many if we can stretch and relax our schedule. We might be worn out but still, if we open our homes to others and serve others, our children will learn from us the basic lessons of hospitality. 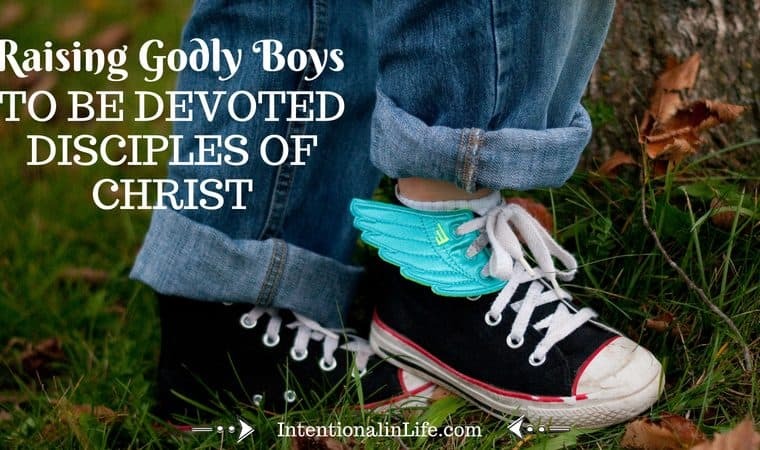 And having a servants heart is an important characteristic of godly boys. The earnest desire for the divine fellowship in all the walks of life. The heart that seeks the will of God, in every single step. Show the importance of fellowship through daily prayers, devotions, and thanksgiving while training your godly boys. Can we begin the habit of referring to the Bible or quoting Scripture for every single step or decision we take? Suppose there is an argument between the kids and there are many ways to come up to a conclusion. Have you ever thought about seeking or referring the word of God in that particular situation? And a gentle quoting of the scripture can be used to correct them. Refer the word of God in all the possible situations so that the children can easily differentiate between good and bad. Choose to obey the Lord without compromising with human wisdom. Trusting God in all the odds, standing for the truth, and walking in His way. We need to be gracious to our children as the Lord showed mercy towards us. We should pray for them fervently for the Lord’s protection as they travel through different phases of their life. And we should be patiently waiting for them if they are disregarding the ways of the Lord. It might be hard, but God can do wonders through our prayers. The most loved Bible verse for many is Deuteronomy 11: 19, to teach a child the Word of God always. He has asked us to teach the Word while we sit, walk, lie down and when we get up, and it means always. He has asked us to immerse our children in the Word of God so that it will be the light unto their path ahead. The wisdom of God reveals to us why in Psalm 119:9. 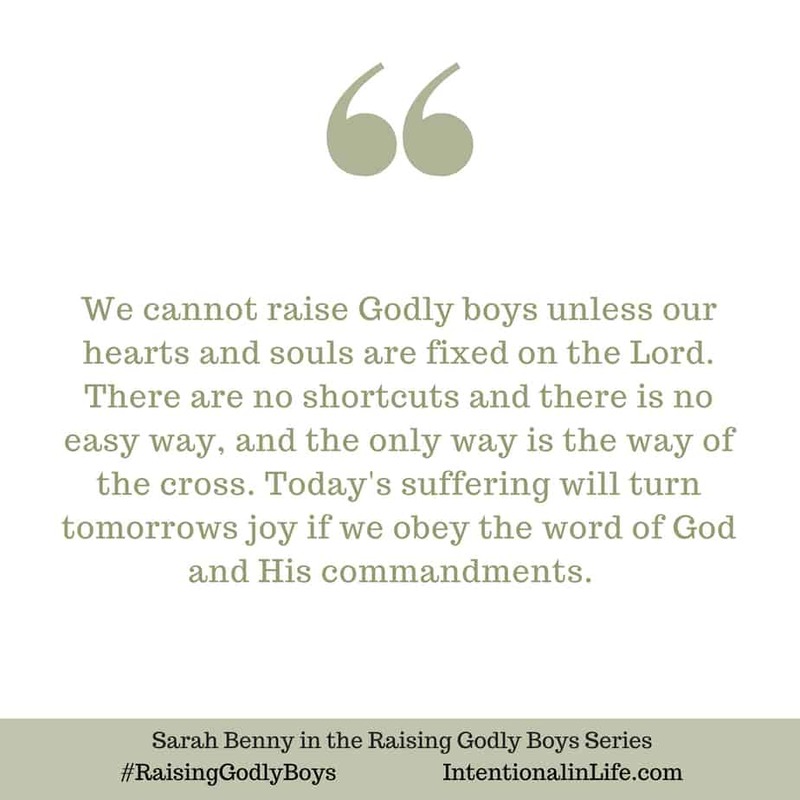 The word of God will keep our boys to stay on the path of purity. How can this be possible? As parents, we have the responsibility of immersing our children in the word of God so that they will not stumble in their life ahead. I am not an experienced mother to tell you this is the ideal way to raise a Godly boy. But I can say in faith that ‘The Lord will raise my boy for His glory if I mend my ways.’ And I believe in His Word, and that is my assurance. But let me tell the story of a mother whom I have witnessed personally. I met this lady, an ordinary woman, who spread the love of Christ to others. And I had the urge to know about her more because of her two sons. Two amazing boys who have the fire of God in their hearts. And once I asked her about how they become so different from the rest of the world. And all she said was about loving God and being faithful to His commandments. 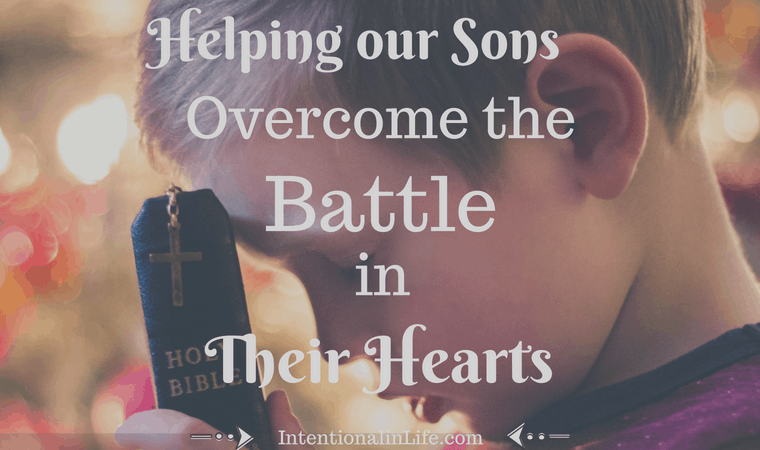 We cannot raise Godly boys unless our hearts and souls are fixed on the Lord. There are no shortcuts and there is no easy way, and the only way is the way of the cross. Today’s suffering will turn tomorrows joy if we obey the word of God and His commandments. Whatever we try, whatever we follow, at the end of the day, they are just following us and we are being the living manual through which they learn to define life. So, what shall we do then? Just surrender our frustrations and disappointments at the feet of the Lord. We don’t know His timing but everything will turn out for good in His own time so we have to wait to trust Him in all the trials. So, as parents, if we choose to obey the word of God in our lives, teach the children the ways of the Lord and in prayers and supplication, if we submit our desires to the Lord, He will not leave us empty-handed. Because He is our Father. All we can do is to prepare the land, sow the seed, and wait for the heavenly rain to pour out, in each stage of growth. And one day, we will see this seed grow to a big tree with lovely fruits and a nesting place for many. 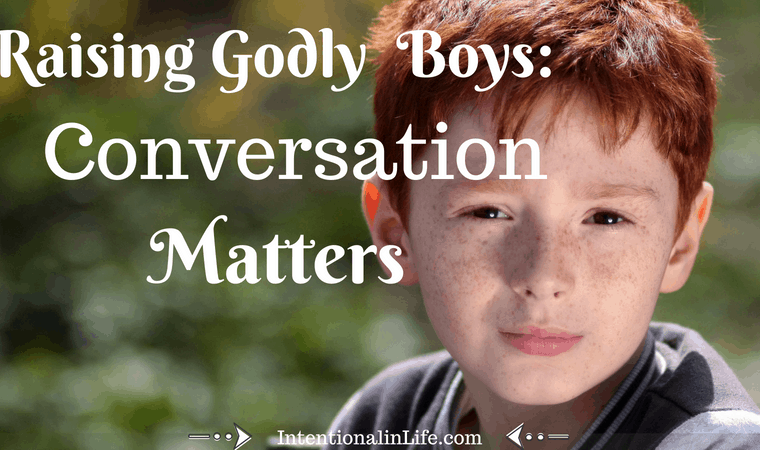 Do you have any tips for raising godly boys? What does Biblical Modesty look like? 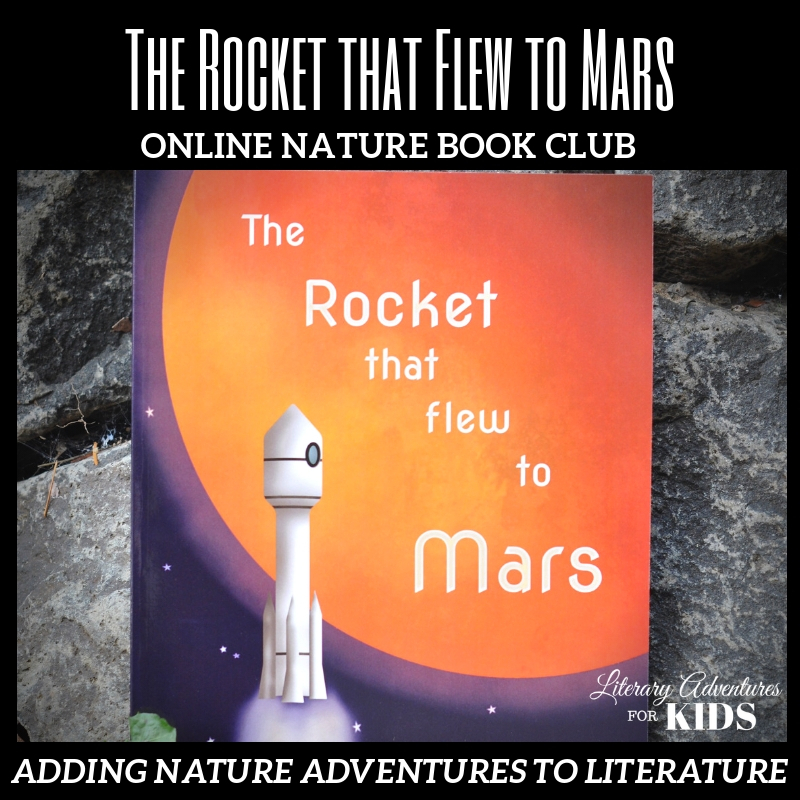 How do we teach it to our girls? 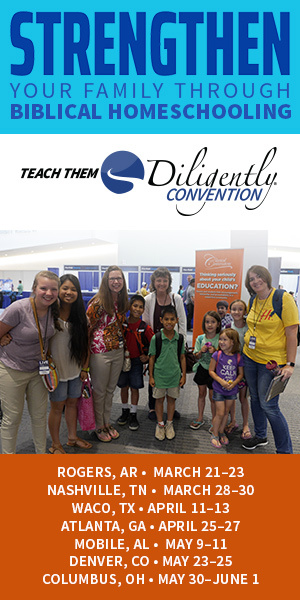 Join Marisa of Called to Mothering today on the Raising Godly Girls Event as she shares: 5 Ways to Teach Your Daughter Modesty From the Heart! 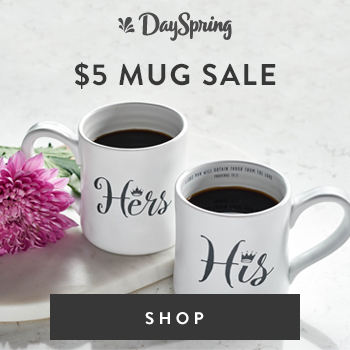 Hello, I’m Sara, a mom, the wife of a wonderful person, a blogger, and the daughter of Jesus. 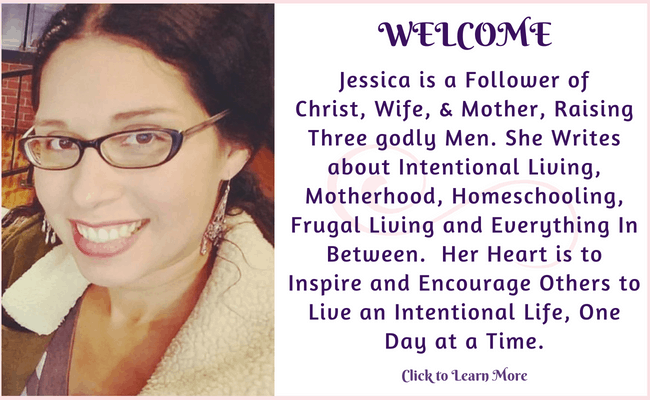 I blog at preciouswomb.com and it is all about rediscovering the principles to live a more fruitful life filled with hope, love, and peace.